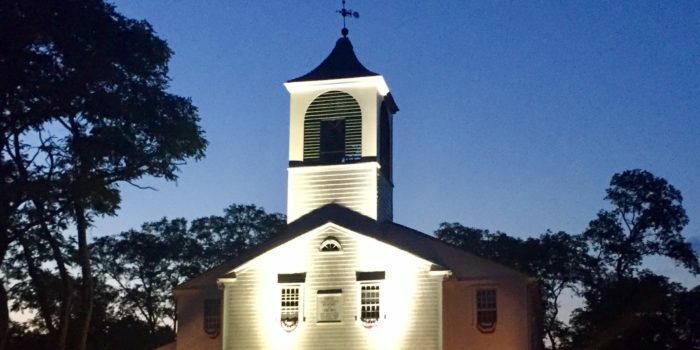 In showcasing the historic Truro Meeting House as a new player in Truro’s summertime cultural life, the Friends joined by the Parish have presented more than 54 talks, musical performances, poetry readings and special events since the founding of the Friends in 2012. An estimated 1,600 people attended. August 12, Sunday, 7:00 PM: “Russian Roulette – The Inside Story of Putin’s War on American and the Election of Donald Trump.” Washington Bureau Chief for Mother Jones, David Corn will talk about his new book on interference in the 2016 election. Presented in conjunction with the Truro Public Library. August 18, Saturday, 10:00 AM: Blessing of the Animals. August 19, Sunday, 6:00 PM: Cello Concert by Guy Fishman, Principal Cellist, Handel & Haydn Society. August 25, Saturday, 7:30 PM: Parish Event: Candlelight meditative gathering. Parish Sunday Services, 10 AM: begin June 17—Sept 16. Congregational and Snow Cemetery Tours will be offered after Sunday services. For questions or to arrange a private tour, please call Carlotta Zilliax at (508) 246-5057. Admission to our events is free or by a suggested donation. Schedule updates and details are announced by email – go to our “Contact” page and send us your email address.